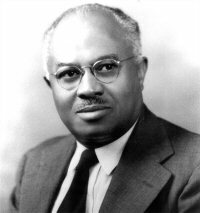 Introduction: Associated with both the Atlanta School of Social Work and Howard University’s Department of Sociology and School of Social Work, E. Franklin Frazier was an activist, researcher and administrator who contributed significantly to the social work profession. An outspoken and sometimes militant activist for social justice, Frazier was also the first African American president of the American Sociological Society. Background and Education: Frazier was born in 1894 in Baltimore, Maryland where he grew up in a working class family. He was educated in the segregated Baltimore school system, and upon graduation won a scholarship to Howard University where he received his bachelor’s degree in 1916. Following graduation, for three years, Frazier taught in black schools in the south and in 1919 was awarded a scholarship that allowed him to attend Clark University in Massachusetts, where he received his master’s degree in sociology. The fact that Frazier, an African American man from a working class background, completed his graduate studies during this period in history was an unusual achievement given the racial climate in the United States during the 1920s and 1930s. It was in an atmosphere of segregated schooling, overt racism, and academic stereotyping that Frazier completed his master’s degree and went on to study social work. A Focus on Social Work: Although many African Americans were unable to find work in 1920, there was demand for educated black social workers. The National Urban League, which considered itself a social work organization since its origin in 1911, was instrumental in creating many opportunities through its lobbying for the training of professional African American social workers so that they would be able to staff the social service programs in African American communities. Like Forrester B. Washington, Inabel Burns-Lindsay, Frazier was granted a fellowship from the National Urban League which allowed him to study social work at the New York School of Social Work. In 1922 Frazier was hired to serve as professor of sociology at Morehouse College and Director of the Atlanta School of Social Work. 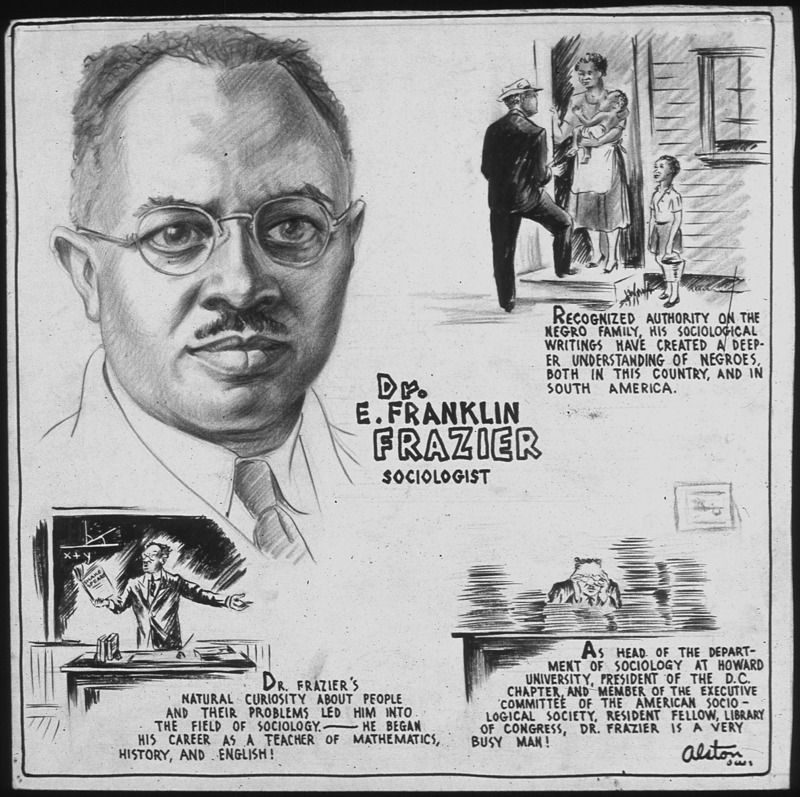 Franklin put a great deal of effort into getting the Atlanta School of Social Work accredited, and by 1927 it was considered the leading voice for black social work. Frazier was dedicated to the idea that it took more than just an attitude of service and a desire to help to be a professional social worker. He therefore established standards for those who would attend the Atlanta School to ensure the school’s graduates were adequately trained professional social workers. He also emphasized the social activism aspect of the profession during a period when social work was moving more toward aligning itself with psychology. Frazier was angry that opportunities to participate in community, social, political, economic, and intellectual life had been taken away from African Americans and encouraged social workers to help create those opportunities by establishing cooperative businesses, youth clubs, schools, and self-help groups for black Americans. Social Work as Social Action: In Frazier’s view professional social work included speaking out on major issues of the day rather than going along with the status quo. His social work activism went hand-in-hand with his activism and contributions to the black movement in the 1920s. He opposed U.S. participation in World War I because he felt it was hypocritical given the racial discrimination in the United States, and he was also arrested for protesting the movie “Birth of a Nation.” He was outspoken and militant in his denunciation of racism and used his research and academic writing skill to call attention to the practices of racism in the United States. He wrote an article published in Forum in 1927 where he characterized racism as pathology. This bold statement by an African American man was neither appreciated nor welcome in the south and gained so much publicity that Frazier and his family began receiving threats and were forced to leave Atlanta. Frazier died at the age of 68, in Washington, D.C. He holds an historic place among African Americans for his significant contributions. The life and work of E. Franklin Frazier brought him into conflict with whites and other blacks alike. Not content to accept the things as they were, he worked tirelessly to bring racist practices into the light and change the circumstances for African Americans in the United States. He accomplished this through his own activism, his written works and by educating a new generation of social workers.